911uk.com - Porsche Forum : View topic - Anyone running a Turbo on Michelin Pilot Sport 4s? 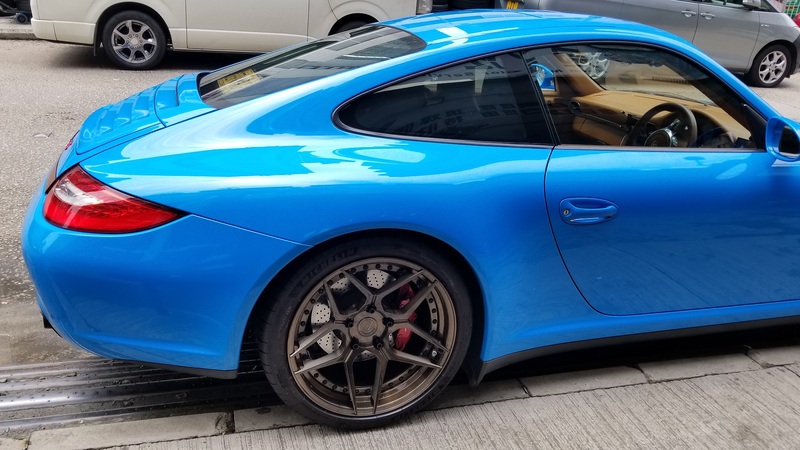 911uk.com Forum Index > 997 (2004 - 2012) > Anyone running a Turbo on Michelin Pilot Sport 4s? Posted: Wed Jan 30, 2019 11:50 am Post subject: Anyone running a Turbo on Michelin Pilot Sport 4s? I'm not that far from needing new tyres all round on my Turbo, and having not taken a Porsche warranty since fitting N rated PS2s last time, I'm thinking of going all "modern" and fitting PS4s this time. I've got them on my daily drive, a BMW M135 and they are great on that, but i wondered whether they suit the Turbo. Also, I did have Super Sports on the BMW from new and thought they were great. Anyone here running them on a Turbo? IMO best tyre you can buy, hands down better than any other manufacturer especially if your thinking of doing any track events. I am running Super Sports and they are great, no complaints at all........that said if I were you I would go PS4s...... newer tech, better in the wet and quieter. I've had them on my 997GTS since last May. Having now driven 3,000 miles on them, I can only say that they're the very best tyres I've ever experienced! Get them now without hesitation.. Awesome tyres. I went from P-Zeros to MP4S`s nearly 2 years ago. Ive done about 20,000 miles in them using them all year around. The grip is staggering. On my first drive out in them I remember suddenly realising I could actually "feel" the road. When this set wears out I will be replacing them with the same. As an added benefit, I only got 14,000 miles out of the old P-Zeros and im getting nearly twice the mileage out of the MP4S`s and infinitely better grip. When I had my car setup at Centre Gravity, one of their tests is to push the car hard around a small roundabout to see understeer/oversteer. They took it at nearly 40mph and still couldnt get the car to break grip. They were genuinely surprised at the grip until I pointed out which tyres I had on it. Really good tires, sticky from cold and very sticky when warm. Difficult to break traction on them but in SPORT PLUS mode it does allow for some rotation when pushing it. The smell of the rubber after a drive is addictive and you know the tires are doing their job. Not too much road noise, with a stiff tire wall the reaction and feedback is instant. I have a C4S though. Nice wheels and what colour is that? Custom made BC WHEELS HC053S in Brushed Bronze. Yes been running them for around a year now, awesome tyres and highly recommended. Due for replacement soon and I'll be fitting PS4S again without a doubt. One of the benefits of the PS4s is the softer side wall than the Super Sport. Less thump over cats' eyes and road imperfections, while retaining all the attributes. I remember that test around the mini roundabout.. the speed proper caught me out at the time.